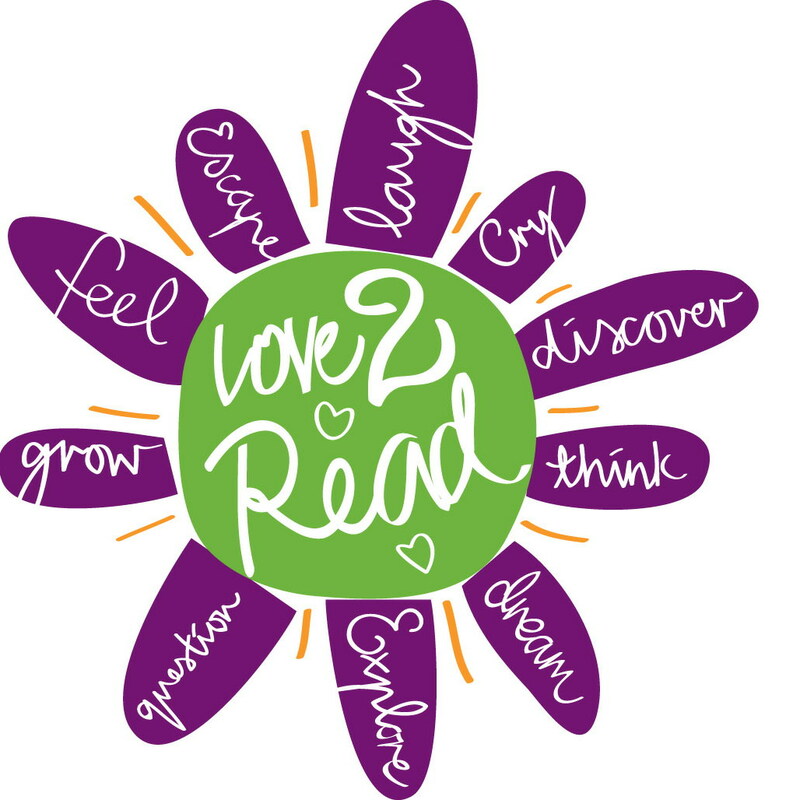 Book Links Qld Inc kindly hosted the evening on behalf of IBBY at the QWC, State Library of Queensland, Brisbane on Thursday, 8 November. Over 25 people (including several members of IBBY) enjoyed wine and cheese and then an intimate one hour conversation between Gregory and Robyn Sheahan-Bright about his career. Greg generously shared images of his latest (yet to be published books) with the group which included authors David McRobbie, Chris Bongers, Pam Rushby, Lucia Masciullo, Steven Axelsen, publisher Leonie Tyle, Book Links Qld Inc members Jenny Stubbs (President), Beth Green, Denise O’Connor, Shirley Stubbs, John Moffatt, Sam Sochacka and others. Sarah Mayor Cox (Left) and Glenda Millard with the 2012 IBBY Honour List certificate. 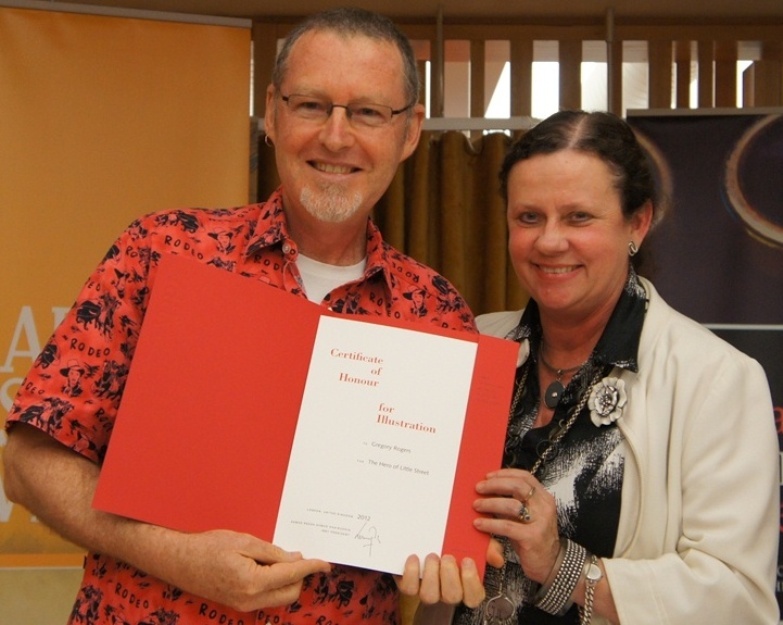 As one of the judges on the 2012 IBBY Honour List panel for selecting the Australian nomination for the biennial selection of outstanding, recently published books, honouring writers, illustrators and translators from IBBY member countries, Sarah Mayor Cox had the opportunity to present writer Glenda Millard with her certificate for A Small Free Kiss in the Dark.. 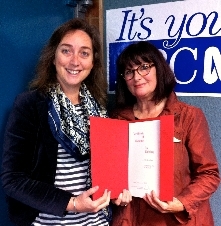 This was on Sarah’s regular programme with Ann Jones, Morning program presenter at ABC Central Victoria 91.1FM, Friday 26th October. 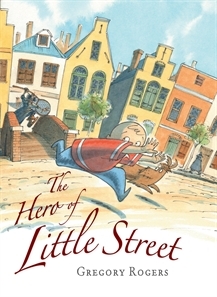 To hear Ann, Sarah and Glenda discussing the book and the IBBY Honour listing click on to the blog.